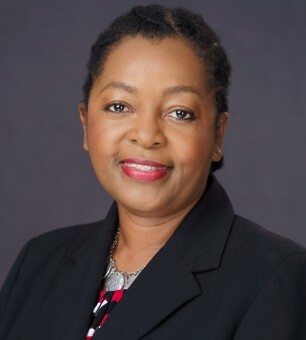 Hortense Gregory-Nelson is the Finance & Administration Manager of the company with several years of experience within the field of accounting and financial auditing. Mrs. Gregory-Nelson is known for her professionalism and undeniable competencies. Her career began in 1986 when she assumed the position of Clerical Officer at the Ministry of Education. After two years she left the Ministry to work with National Commercial Bank where she remained for six years serving in the capacity of Administrator and Clerical Officer. She then worked for Ernst & Young Chartered Accountants until she left the company in 1996 to assume the position of Assistant Accountant at Mother’s Enterprises. From there she went on to work with a wide range of clients in the manufacturing, education and retail sectors during her years of offering freelance accounting services. In 2002 she was awarded the position of Financial Manager of the Bible Society of the West Indies where she remained for six (6) years. After her productive tenure with the Bible Society she again went into business for herself. It was during this period that she was recruited by tTech. Mrs. Gregory-Nelson is a Certified Chartered Accountant with ACCA accreditation and holds the Certified Financial Planner (CFP) credentials, accredited by the Chartered Banker Institute. She is considered an adaptable individual whose wide range of experiences in different sectors affords her an even greater appreciation of the company’s ultimate vision of promoting efficiency through innovative solutions.